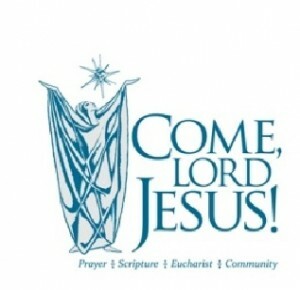 Come, Lord Jesus! (CLJ) inspires and assists Catholics to live out the Gospel message to the fullest. Through weekly prayer meetings, prayer, and scriptural study, members are formed into ardent apostolic witnesses and dedicated parish ministers. The program is based on the three year cycle of Sunday readings; the group reflects upon one reading each week. Parishioners have the opportunity to become a member of an already existing Come, Lord Jesus! group, or become a leader and start a group of their own. 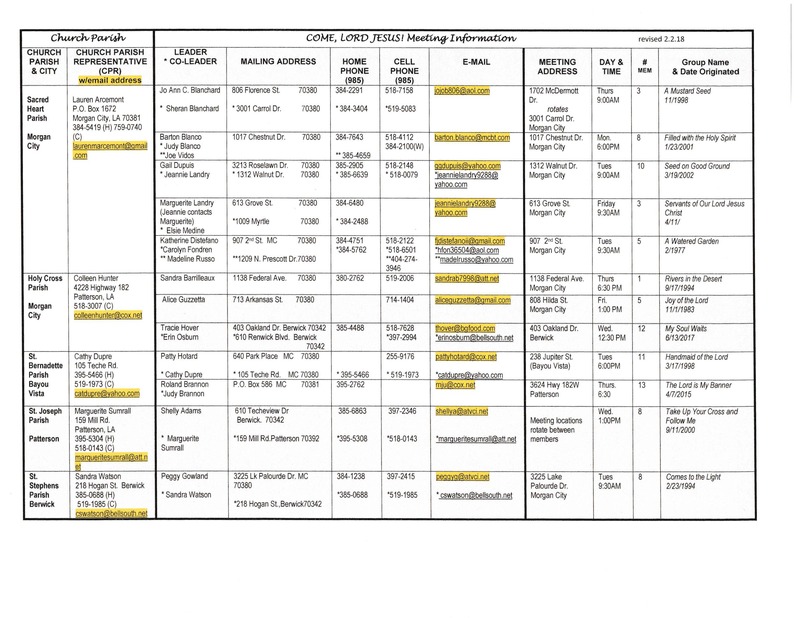 A list of current groups is listed here. To join an existing group, or lead a CLJ group please contact Jeannie Landry at 385-6639 or Gail Dupuis at 385-2905, so that we can address your wish to be a part of Come, Lord Jesus!. Consider joining a Come Lord Jesus! group. It’s much more than a bible study. locations near you to inquire about joining.